Pokies are some of the most popular gambling games in Australia. This is because they offer AU players a wide variety of gaming options, with hundreds of themes and variants. So, this will probably lead you to ask, ‘how do I win on pokie machines?’ Well, there is no sure-fire way to win at pokie machines, but there are ways to minimise your losses. Below are some of our tips to winning pokies online. We’ll walk you through cheating pokies, how to tell if a pokie machine will pay out and how to make pokies payout. Please be advised that, even if a strategy claims to payout often, this is not possible online. 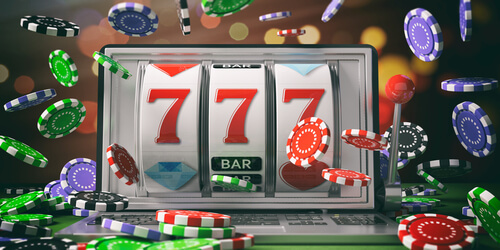 All online slots use a Random Number Generator (RNG), which is a specific algorithm that randomly spins the reels. This is also used to determine payouts and ensure that your game is fair. There is no way to cheat these machines, and it would be illegal to do so. Even land-based casino slot machines use RNG and are monitored at all times. One of the most common questions asked by Aussie players is ‘how do I make pokies payout?’ To be honest, there’s no way to ensure this. However, you can use some old tricks that have been tried and tested by our expert players. These tips can be used for any online pokies game, and will help you to keep on track while spinning the reels. Place your bet wisely, and only play what you can afford in the long run. Smaller bets mean more time to play. Choose a reputable pokies casino, online with a big game library. Use the free to play mode, to test out the game and save your real money. Budget your time and money, so you can walk away if you hit a losing streak. This is determined by a Return to Player (RTP) percentage, which is calculated by the software provider. It is determined by hundreds of reel spins, so it will not guarantee a payout every time you spin. At Australian casinos, you will find this percentage on the slot machines. For online slots, this information can be found using game reviews. As mentioned before, there is no way to cheat pokies. In fact, you can be arrested for doing so in Australia. What’s more, it’s almost impossible to tamper with the online pokies software. Game developers have a lot of measures in place to stop people from trying. Cheating pokies takes more time than you’d expect, and you would likely be caught in the act. Finding online pokies with free money usually means that the game has been pirated. On the other hand, you can play online pokies with bonus through an Internet casino. Most pokies casino sites will offer players great sign up bonuses and rewards to play slots.